Searching for a job? 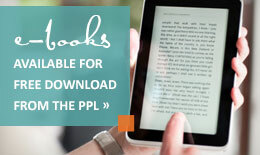 Let the Library help you get started with job-seeking resources selected by our expert librarians. Using PPL’s Career Resources, you can learn about careers, create a resume, find and apply for jobs, prepare for interviews, take practice tests, and more. We offer free computer access to the Internet, as well as wifi service, expert staff assistance and robust collections to support your search. One-on-one tutoring sessions are for all levels of computer users and this is a chance to sit down with a staff member for 30 minutes of free technology assistance. Laptops are available for use and the sessions take place in a quiet area of the library. Advance registration is required, please call 871-1700 x 708. Searching for a job? Get started with job-seeking resources about careers, creating a resume, finding and applying for jobs. You can also prepare for interviews, take practice tests, and more! Check out these informative videos from the Maine State Library: How to Navigate Job and Employment Websites and Uploading/Sending a Resume. 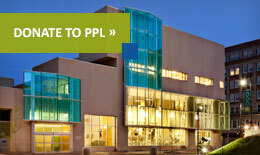 PPL has online resources you can access with your library card, in the Library or from home, to help you with your job search. You can create a resume using Optimal Resume. This suite of online career tools helps job seekers build a resume and cover letter, manage an online portfolio, hone interviewing skills, and develop a personal brand online. To view a video tutorial, click here. Glassdoor gives you an inside look at jobs, salaries, company reviews, & interview questions. To view a short video on this resource, click here. You can build lists of companies by location (for example, Portland) and type of business (hotels, hospitals, real estate firms and so on) using Reference USA. To view a short video tutorial, click here — *this video was created by the Lake Villa District Library. Use Learning Express to prepare for a professional exam, if you are curious about a particular occupation or looking to improve your workplace skills. To view a video tutorial, click here. Visit Getting a Job: Resources, Courses, and Webinars published by the Maine State Library for helpful tools, interview tips, cover letters and more. Visit the Occupational Outlook Handbook for in-depth career information. The profiles featured cover hundreds of occupations; describing What They Do, Work Environment, How to Become One, Pay, and more. Each profile also includes the Bureau of Labor Statistics’ employment projections for the 2010–20 decade. The Maine Job Link from the Career Center provides a variety of employment and training services at no charge for Maine workers and businesses. Whether you are looking to improve your job qualifications, explore a different profession, find a new career or hire an employee. No related events scheduled - Showing the next two events on our calendar.